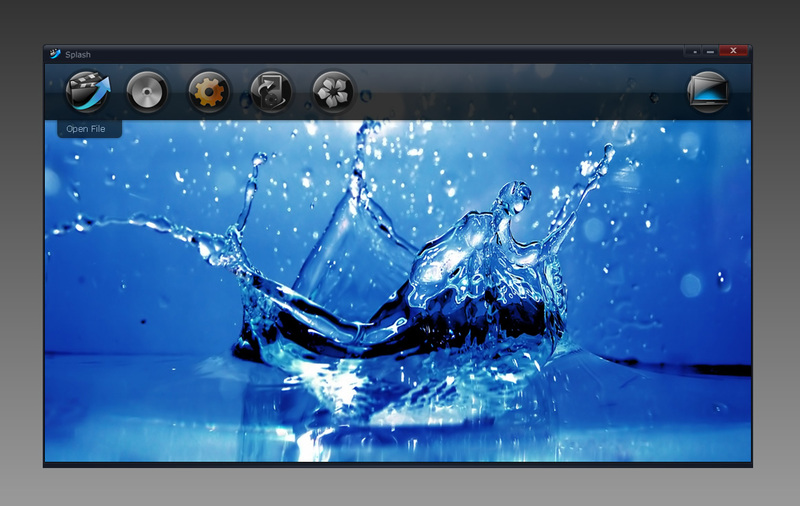 Splash is a continuation of the Oxygen AVCHD Player project. Watch your HD recordings and movies on your PC. Play all your High Definition AVCHD™/H.264 camcorder clips and movies, incredibly fast, smooth, with no problems, no glitching. You don't need any additional codecs. Download, install, watch. 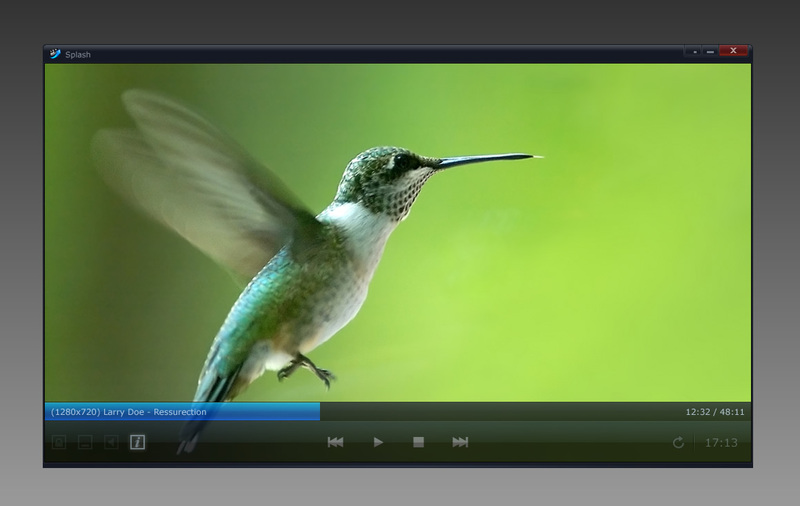 It takes about one second to start application and High Definition video playback! Watch, timeshift and record high quality DVB-T television with pleasure. Easy navigation and fast channel zapping. Rediscover standard television with high quality and power saving image post-processing technologies, optimized to work with desktops, notebooks and netbooks. Want to take your movies or camcorder clips with you? Just push a button and upload clips to your favorite portable multimedia device or directly to YouTube™. Take advantage of fast Mirillis video transcoding engine. Picture² - advanced picture post-processing engine, delivering the best video quality. Watch standard definition videos like never before. Optimized to deliver top quality video on all PCs: desktops, notebooks and netbooks. Splash is compact, stylish, user friendly and incredibly fast! Provides the best user experience for video files and digital tv playback. Designed to enjoy multimedia the proper way. Ultra fast video decoder designed for your multicore processor and graphics card hardware acceleration (GPU). Choose our optimized low power consumption technologies, save your mobile PC batteries, money and the environment. You don't need any additional codecs to play the best quality videos now!